Have you ever felt like quitting your day job and high paying salary and jump into a business with an idea that you feel you can translate using your professional skills into a 6 figure business? Or you want to help others and make a difference and decide to set up shop as a Coach or Consultant to spread your Message which has to be heard to help others, believing that clients will line up outside your door or book consultations and hire you on the spot? Like many of us before you, you must have felt this way at some point or the other about your work, career and a desire to be your own boss. The thought of being a solopreneur or business owner is glamorous, being your own boss is romantic and guess what, many professionals succeed in making that transition without hurting their lifestyle or before their savings get depleted during the birthing stages of Project Independent Business. On the other hand, many don’t make it to the Promised Land and when that happens, they hang up their business boots within 12 months and go back to a JOB, having failed to fulfill their dream. There are questions and areas that you need to consider before taking the decision to go into business for yourself. This does not mean that I am trying to dissuade you from embracing entrepreneurship. 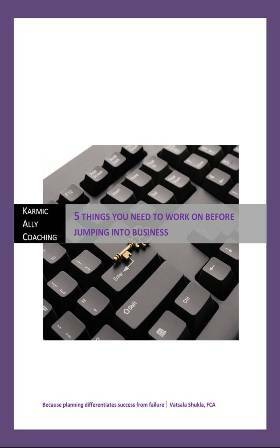 Instead, in this workbook, I am going to try and help you to think more about your plan and consider 5 tough areas so that you transition from employee to business person with clarity and focus and understand what you next step should be to Project Independent Business.